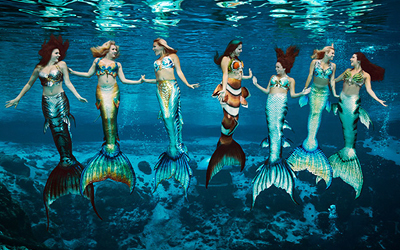 Welcome to the Merfolk Tails Information page! 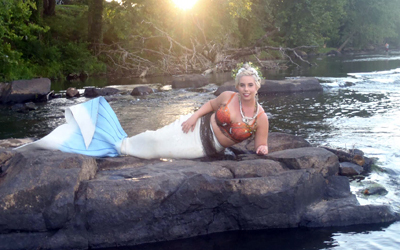 Here you'll find a full list of companies and people who professionally make fully swimmable mermaid tails! For each seller we have listed their company name, location, what type of tails they make (see explanations of tail materials for more information), price range (in USD, does not include shipping), and what kind of sizing they use. "Ready to wear" sizing means that the sizes for the tails are pre-determined/pre-measured sizes, also referred to as "off the rack"- these tails are typically ready to ship, but be sure to check with the seller for more information. "Custom sizing" means that they make the tail to your specific measurements once ordered. There are different types of tails, made out of different materials. Don't know what tail will suit your needs, what material is what, or what properties it will have when made into a tail? Fear not, we have information and details on each type of tail on our Explanations of Tail Materials page! We strongly suggest you read this page because some materials used by commercial tailmakers can be unsafe. Educate yourself on the materials your tail would be made of before buying. 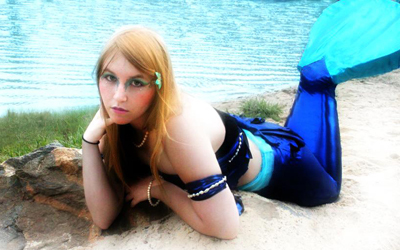 AquaTails was started in 2009 by Jerilyn Winstead of Colorado Springs, Colorado. 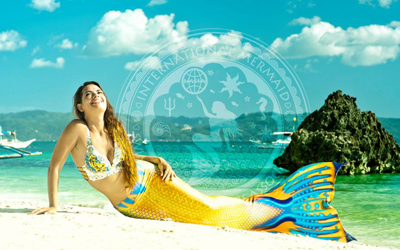 The company offers several designs of tail targeted toward men and women. Their tails range in cost and complexity from a basic fabric tails made of Lycra to more expensive neoprene designs. Based out of Finland, founded in 2012, Delfina offers unique printed tails with a 3D look (including pecotral, dorsal, hip, and ankle fins). They come with a monofin made by the company. 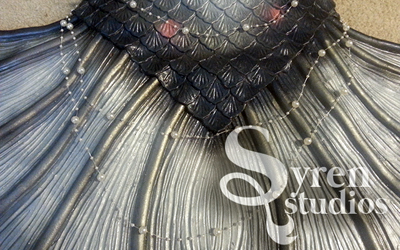 Founded by artist-costumers, Abby Roberts and Bryn Roberts in 2012. 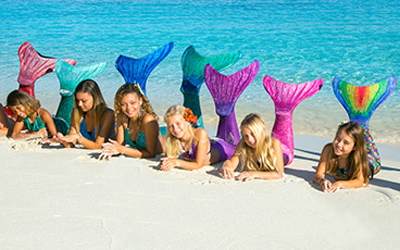 Finfolk Productions operates out of Kailua-Kona Hawaii, and offers molded full platinum silicone tails. 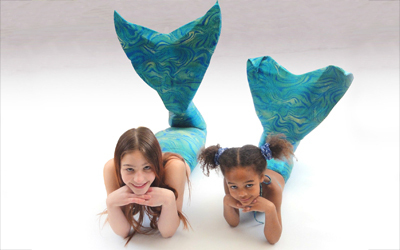 Founded in 2010, Fin Fun Mermaid Tails sells affordable fabic tails with lexan monofins and realistic printed fabrics. 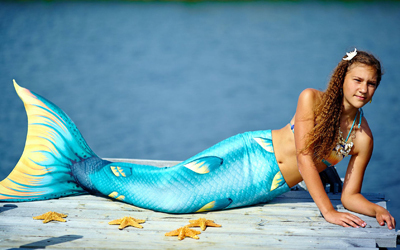 Mike Van Daal appeared in the merfolk scene several years ago, selling airbrushed neoprene tails on ebay for several years before creating his business, FlipTails. 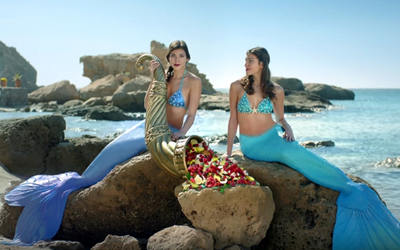 He offers molded silicone mermaid tails. House of Mer was founded in 2015, and makes full silicone tails. Located in New Mexico, LaNyah offers full silicone tails. 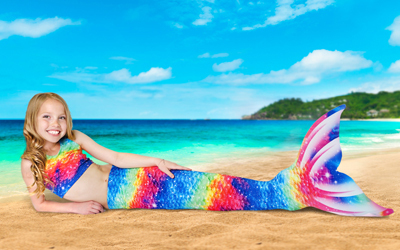 Founded in 2016 and run by Mermaid Mazu, Mazus Mermaid Emporium makes tails from tin-cure silicone (specifically, silicone caulking) on a neoprene scuba knit. 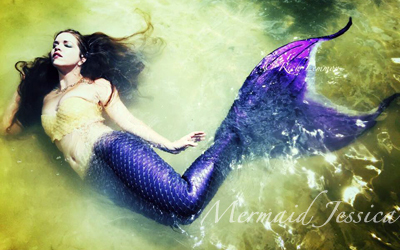 MerBella Studios, created and run in part by Raven of Merbellas LLC, is located in central Florida. 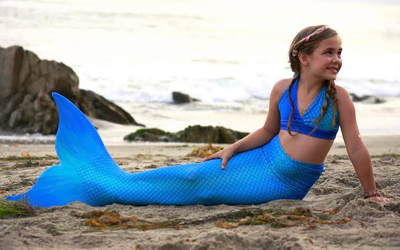 They offer custom realistic platinum silicone tails as well as a wide range of original mermaid accessories. 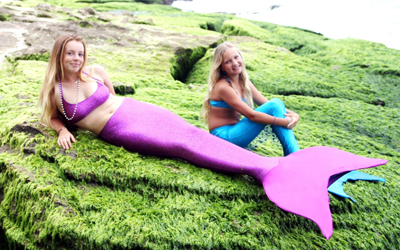 Mermaid Citrine (formerly known as "Mermaids of Hawaii) makes custom silicone tails made of dragonskin platinum silicone. She specializes in making silicone tails that are lightweight (her latest silicone tail weighs only 18 lbs) She had previously made custom latex tails made of real slip casting latex and also sold fabric tails but she no longer offers latex or fabric tails for sale. 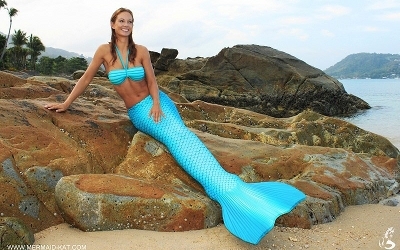 Offers full silicone mermaid tails, tops (silicone and shell), and accessories. Please email for buying inquiries. 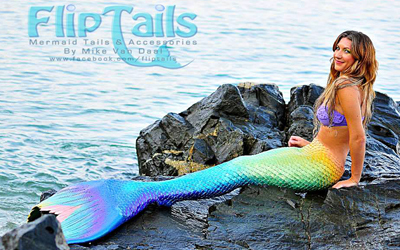 Mermaid Kat's Shop, based in Geramany, offers realistic printed fabric tails, and full platinum silicone tails. Magictail is Germany's most popular tailmaker. Their costumes are made of lycra that they have a realistic looking scale pattern printed onto the fabric. 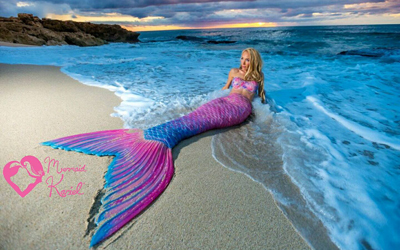 Magictail is also the first fabric tail maker that allows you to custom design your own mermaid tail and have it printed and made, with their "Self Made" option! 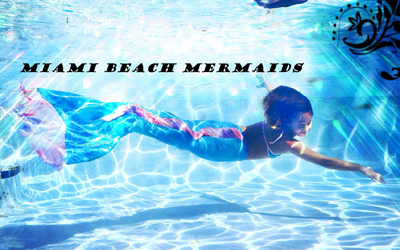 Located in Miami Beach Floridia, they offer fabric tails with cut monofins inside. 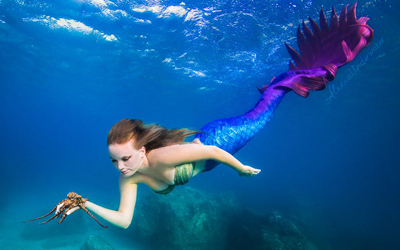 Mermaid Rentals is operated by Thom Shouse, otherwise known as the Tail Man, who has been making mermaid costumes for television and film for decades. The tails he sells and rents for professional productions are made of urethane and cost thousands of dollars, but for recreational costumers he also offers more affordable fabric tails as well. 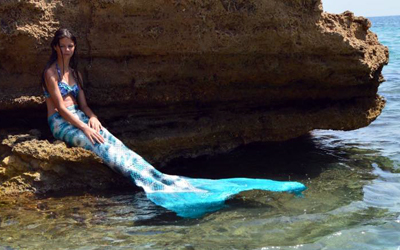 Made by the Philippine Mermaid Swimming Academy, the tails feature a 3D like look, printed onto the fabric. They include custom cut Hydra monofins. These tails are tail skin paired with the Body Glove monofin. 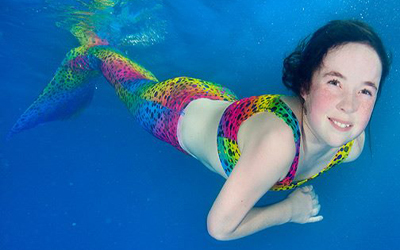 The Body Glove monfins were designed by Mermaid Linden herself, who is a professional free diver with many years of experience in working with children in the water. 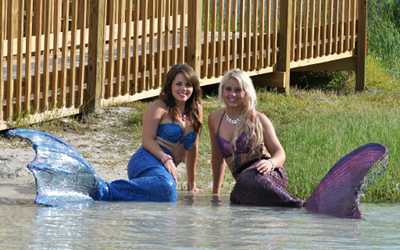 MERMAIDSRUS is located in Weeki Wachee Florida. 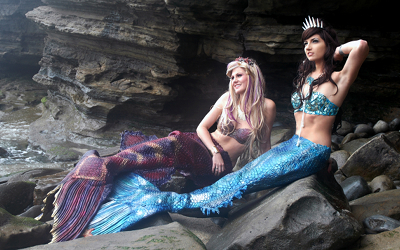 They sell fabric, sequined, and tin cure silicone mermaid & merman tails, as well as various tops and accessories. Tails are also available for rental. 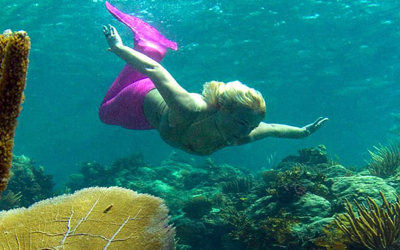 MerNation is located in Florida, and offers platinum silicone tails. They offer a light weight "Genisis" tail line, and a traditional "Signature" line. 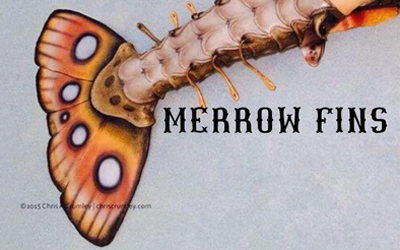 Merrowfins was started in 2015 by Matthew Quijano and Jenna Conti (aka Eden Sirene) of Orlando, Florida. The company offers several options of silicone-based tails. 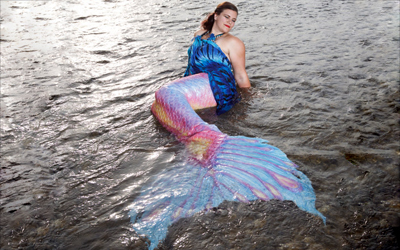 Mertailor is the business and nickname of Eric Ducharme, who began selling fabric tails as a teenager around 2005. 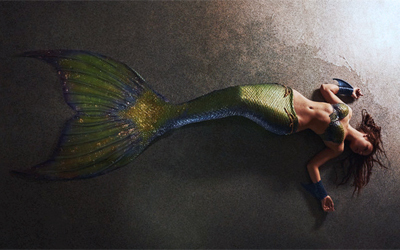 He sells fabric and platnium silicone mermaid and merman tails. 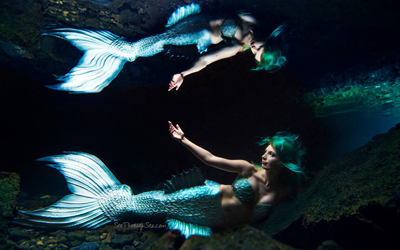 Merthology Creations was founded in 2015, and is run by Mermaid Samantha in the UK. 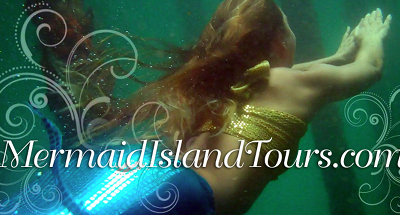 Miami Beach Mermaids are based out of Miami, FL. They offer fabric/spandex tails with Finis monofins. 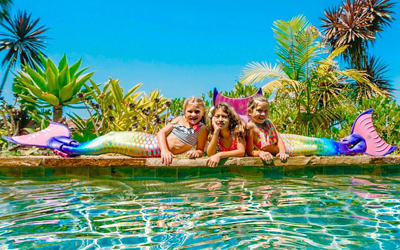 Located in Haleiwa Hawaii, Lori Watts sells fabric tails with Finis mermaid and aquarius monofins. 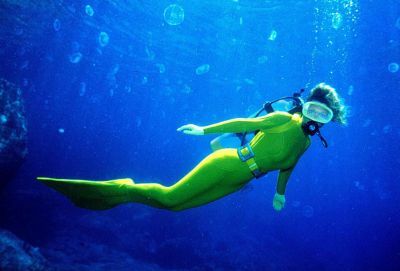 Owned and operated by Ruth Justice (better known as Cricket), Otter Bay Suits makes custom wetsuits for divers. 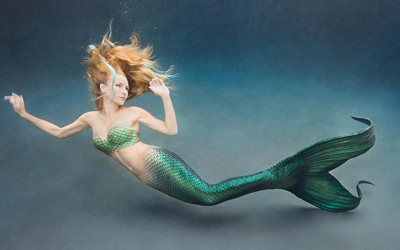 In addition to making normal wetsuits, the company also offers full body mermaid wetsuits as well. 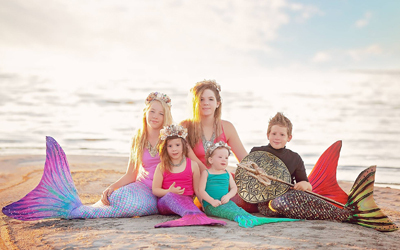 Located in the UK, Planet Mermaid has been making fabric mermaid tails for kids for over three years. 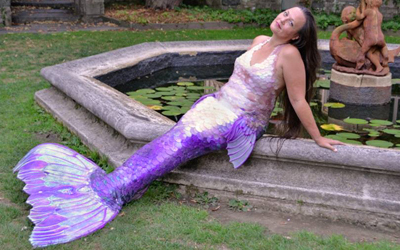 Founded in 2015, and run by Mermaid Nerissa, Purple Mermaid Studios offers realistic looking tails made from tin-cure silicone on a base of neoprene. 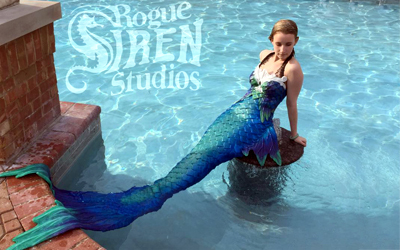 Rogue Siren Studios is run by Mermaid Rouge Siren of Cartersville, Georgia. The company, started in 2015, offers full silicone tails and tops. 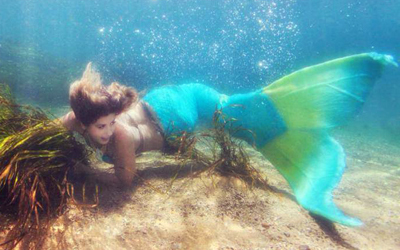 See Through Sea, originally a underwater photography company, by Jim and Alicia Ward- started offering mermaid tails to the public in 2016. The company is based out of Hawaii, and sells full silicone tails. 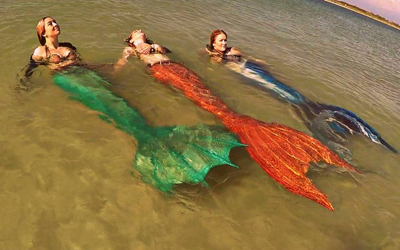 Founded in 2013, Sirenalia makes custom swimmable silicone mermaid tails, and operates a team of mermaids that can be hired to perform at events. 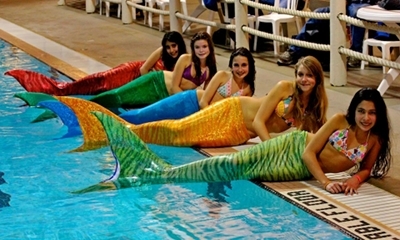 Located in Oregon, Mermaid Morticia offers custom painted neoprene tails. Located in Australia, they offer pre-sized fabric tails with a scale print and lovely gradient colored fabric in multiple color schemes. Founded in Alaska (with shipping from Idaho), Sun Tails offers both simple and realistic printed fabric tails in a variety of colors- for both adults and children. 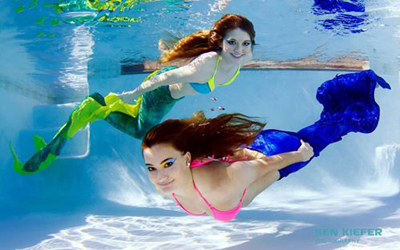 Swimtails makes fabric and neoprene tails with unique designs and colorings, such as “Knight’s Tail” and “Unicorn Mermaid Tail” “Vampiress Mermaid Tail”, etc. 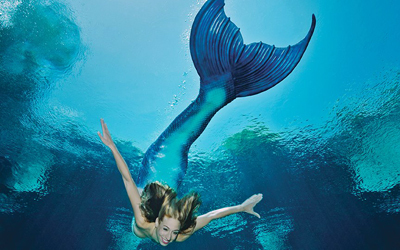 Fabric tails are made to fit either the Finis Mermaid & Atlantis monofins or Finis Aquarius monofins. The neoprene tails are made to fit the Mahina Merfin monofins. Located in Portland, OR Lily offers custom full silicone tails with a competitor monofin included. 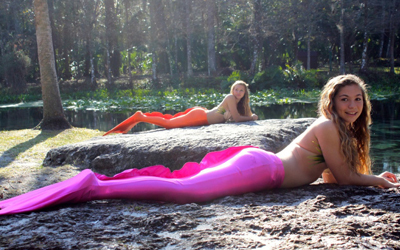 Run by Mermaid Tailz in Fort Lauderdale FL, these fabric tails feature a zipper at the bottom to get the mono fin in and out easily. 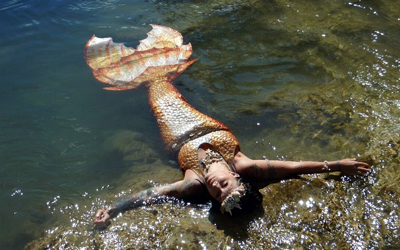 Located in Calgary, Tracy Falukozi is a makeup and special effects artist who makes full silicone tails. 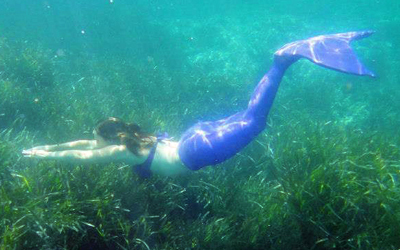 Based in the UK, this company sells fabric tails- both walkable and swimmable. 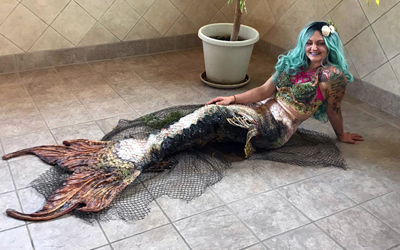 Mermaid Kaitey is located in Neosho, Missouri and started making tails in 2015. The 2 Tails, home of the 3 Tails YouTube series, offers fabric tails made of lycra for both children and adults. 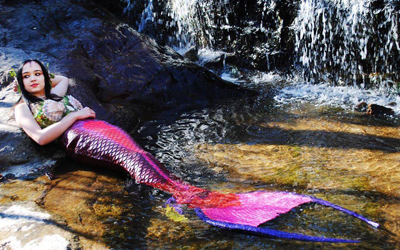 This maker offers tails made out of lycra with striped, sparkle, and glitter fabrics. Included is a custom monofin made of lexan. These tailmakers are just starting out, and either not sold any tails yet, or have sold fewer than 3. Please keep in mind while browsing here that these tail makers may be inexperienced or may have not ironed out all of the kinks in their tails and/or manufacturing process. 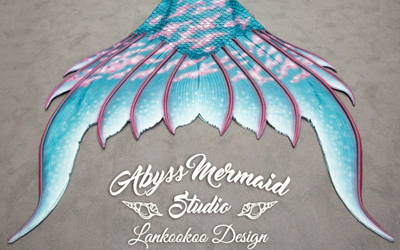 Founded in 2016, Abyss Mermaid studios offers fabric tails and silicone tails. Their silicone tails are currently made by their artist Lankookoo. 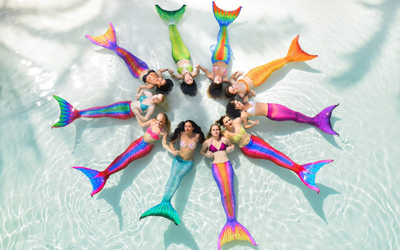 They are based in France but ship worldwide..
AquaMermaid, a Canadian mermaid school run by Marielle Chartier Hénault, also makes and sells both fabric and full silicone mermaid tails. Located in France, Aurore offers fabric and latex tails, with a very thin acrylic monofin inside (please see our page on tail materials for important safety information). 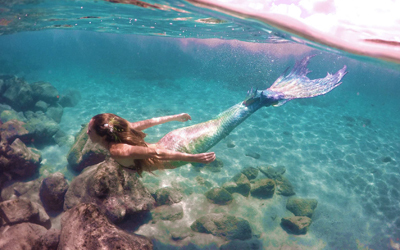 Founded in 2017 by Amy Lamphere, this company offers custom silicone tails. Based in Moscow Russia, Ksenia Dark offers custom silicone tails. 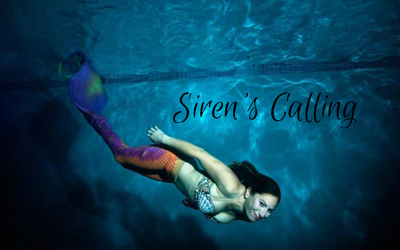 Founded in 2017, Got Mermaid operates out of the city of Seattle and offers silicone tails. Located in Florida, they offer fabric tails with a rubber monofin. Based in France, Odine sells fabric tails. 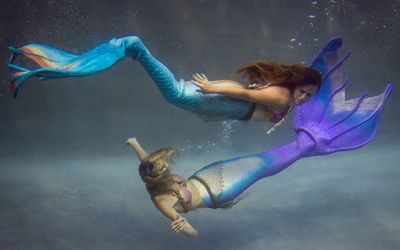 Run by Mermaid Siren (Linda Hines) and and Mermaid Star (Alexie Schauerte)- based in St Petersburg FL, founded in 2017. Pearlie Mae offers unique seamless silicone tails with scales that are individually hand crafted for a beautiful and realistic look. 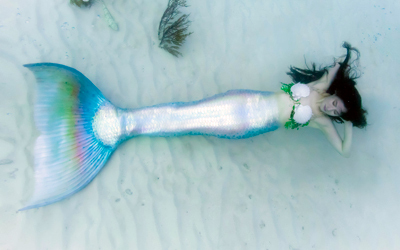 Mermaid Nim is an up and coming tail maker that offers full silicone tails, with a unique optional “Free hidden-heels special” which is added silicone padding “to make the bulge of the heels invisible when wearing your tail”.. 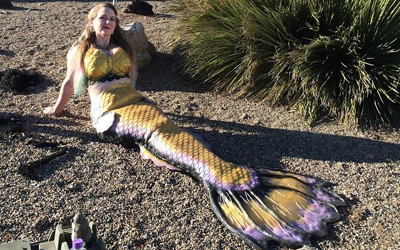 Located in Lovis New Mexico, Sarah Elswick offers customizeable fabric tails. 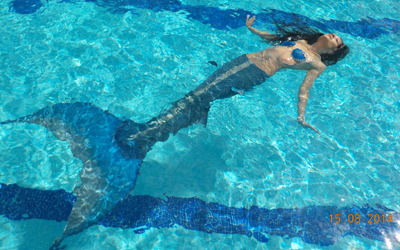 Run by Mermaid Julz, this company offers molded latex and silicone tails.